Prominent & Leading Exporter from New Delhi, we offer fuel pump diaphragms. We are a prestigious name in the market offering our clients Fuel Pump Diaphragms. The offered diaphragm is made using optimum quality raw materials and delivers optimally in terms of quality and performance. To cater to the clients’ expectations, we design these products in compliance with the prevailing industry standards. Our product is reliable, durable and made available at market leading prices. 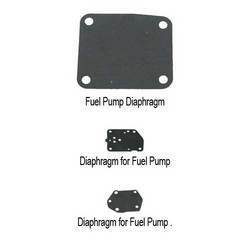 Looking for Fuel Pump Diaphragms ?